Fishful Thinker TV, a documentary-style show for western anglers, is showcasing Colorado state parks and wildlife areas this season. The show will feature a realistic cross-section of the fishing opportunities available in the state. This season premieres January 7 at 9:30 a.m. on the Altitude Sports and Entertainment network. "Colorado Parks and Wildlife's mission aligns with our goal at Fishful Thinker TV to educate people about the breadth of public resources and how best to enjoy them," said Chad LaChance, host of Fishful Thinker TV. 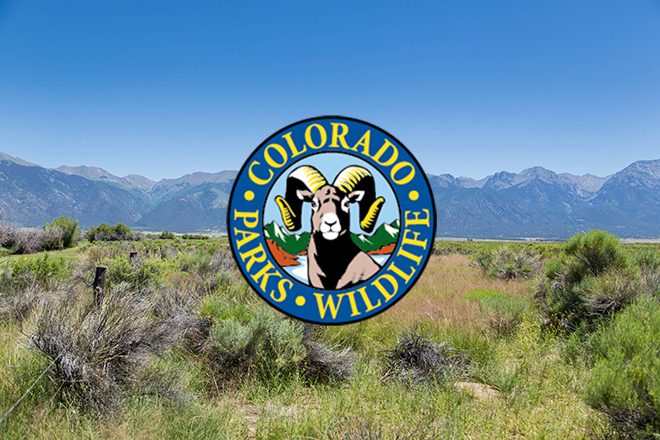 "I'm excited about this opportunity to further spread the word about Colorado outdoor activities to anglers in Colorado and surrounding states." Colorado has 42 state parks, 37 of which offer angling opportunities. The upcoming season of Fishful Thinker will feature locations in multiple state wildlife areas and state parks, including South Delaney Buttes State WIldlife Area, Cherry Creek State Park, Lake Pueblo State Park, Navajo State Park, Coller State Wildlife Area, John Martin State Park, Echo Canyon State Wildlife Area, State Forest State Park, Jackson Lake State Park, Stagecoach State Park, Steamboat Lake State Park, Arkansas Headwaters Recreation Area, North Delaney State Wildlife Area, Two Buttes State Wildlife Area, Lathrop State Park, and Yampa River State Park as well as other Colorado waters. "We love showing off our state parks and look forward to seeing Fishful Thinker TV showcase the angling options we offer," said Jason Trujillo, park manager at Cherry Creek State Park. In the episode filmed at Cherry Creek State Park, LaChance catches walleye and fillets and cooks it on the spot. Episodes of Fishful Thinker TV air on the Altitude Sports and Entertainment network every Saturday at 9:30 a.m. and will repeat regularly throughout the week. Fishful Thinker TV will also air nationally on the World Fishing Network later in 2017 and it is available to stream through the MyOutdoorTV app.